Living and working on the tranquil shores of Paradise Island, whilst pursuing your culinary passion is what many of us dream of. 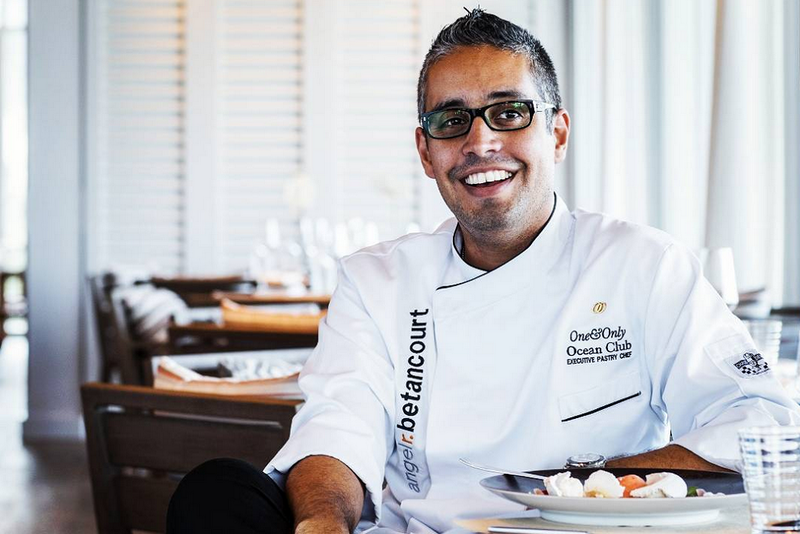 We recently caught up with Angel Betancourt, Executive Pastry Chef at the One&Only Ocean Club, Bahamas leading luxury resort, to find out more about his experience working in the industry and life after Le Cordon Bleu Ottawa. Having grown up in a family of doctors, the decision for me to become a pastry chef was not the easiest but in the end, I did listen to my heart and decided to follow my passion for the pastry arts. It was present in my mind from a very early age, I spent a lot of time around the kitchen learning simple breads, cookies, granolas and jams from my grandmother and mother. What made you decide to study the Grand Diplôme at Le Cordon Bleu in Ottawa? The decision to choose Le Cordon Bleu in Ottawa and the Grand Diplôme programme was very easy for me, as most of my family lives in Montreal and I traveled frequently to Ottawa. I learnt so many things there, but I would highlight discipline to respect the ingredients you’re working with and understanding the history of the recipes as key for me. I had many mentors that I have worked with, such as: Chocolatier Laurent Pagès, Carles Mampel, Chef Nobu Matsuhisa and Chef Jean-Georges Vongerichten. Chefs like Albert Adria, Antonio Bachour, Ramon Morato, Andres Lara that inspire me. Well I was lucky enough to get a job one day after graduation and since then I’ve had the pleasure to work in 6 countries around the world. I’ve had some great career achievements, including the opportunity to work around the world with incredible Chefs, but being selected for the Cercle V of Valrhona and getting to go to Ecole Valrhona professional training center in Tain l’Hermitage, France is one. Also, being chosen to represent the Bahamian Culinary Team in 2017 (2 silver Medals) was a wonderful experience for me. 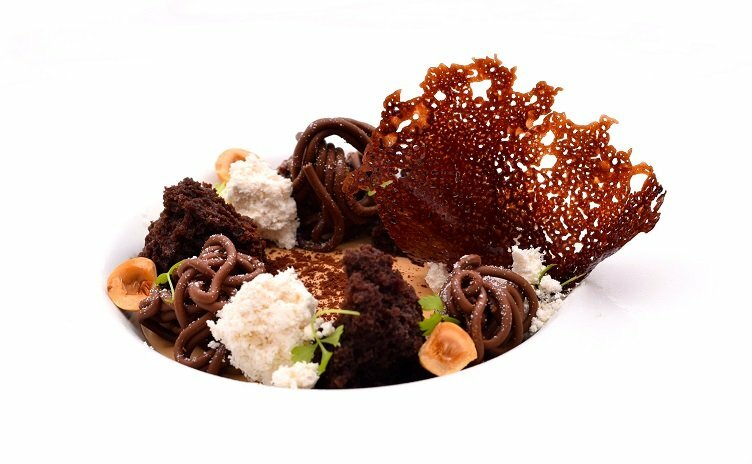 What's the experience been like working as the Executive Pastry Chef at the One&Only OceanClub in the Bahamas? In a very few words, its been challenging and fascinating all at the same time, which allows me to grow as a person and as a chef. Where do you get your inspiration from to create all your beautiful pastries? Mostly from nature, and nowadays from all the amazing Caribbean ingredients I get to work with. What are you working on in 2017 and what does 2018 look like for you? I am working on a very special dream of mine, a dream that has been my driving force till this date, which is to release my very own pastry book (watch this space)! To the current students of Le Cordon Bleu Ottawa; Enjoy and take advantage of the beautiful country you are living in now. Explore and try the amazing ice wines from Niagara on the lake. Try the amazing crabapples and foie grass of Quebec. Try the different product derived from Maple. Take advantage of the variety of ethnic restaurants in Montreal. Be surprise by the simplicity but full of flavor beaver tails in Ottawa. Travel to Vancouver and discover the amazing Asian food. Explore Toronto China town! To stay up to date with Angel’s work and travels follow him on his Instagram account!